Drexel LeBow’s School of Economics and Econsult Solutions Inc. completed its first collaborative research project: an economic impact report and analysis completed for the proposed PennEast Pipeline. 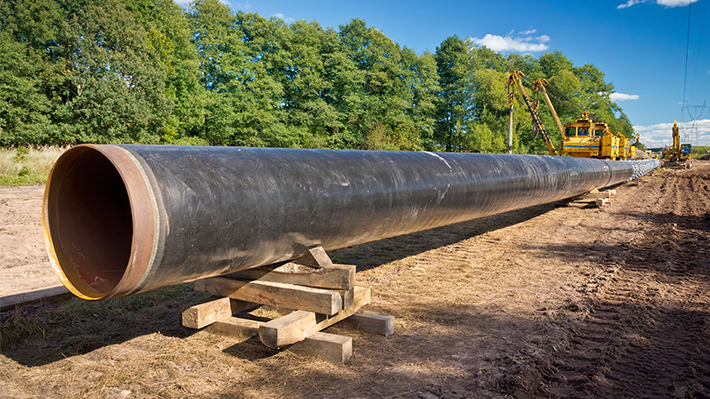 PennEast pipeline, a potential project sponsored by all four gas utility companies in New Jersey, would link Luzerne County, Pa., to parts of Hunterdon and Mercer counties in New Jersey via a 36-inch-wide, 110-mile-long pipe. Proponents of the project say it will increase economic activity and lower the cost of energy. The Drexel-Econsult team was comprised of Vibhas Madan, director of the School of Economics; Paul Jensen, associate dean for graduate studies; and Steve Mullin and Andrea Mannino of Econsult (Mullin is also an adjunct economics instructor at LeBow). MS economics student Braden Picardi, who has worked as a research assistant in the past, was selected to assist the team with evaluating the potential impact of the increased supply of natural gas on energy prices, and assess consequent benefit for users such as residential and business consumers. Madan says Picardi used econometric techniques he’s been studying in the program to frame his analysis. “This project was a nice way to bring the expertise of the two groups together and apply it to analyzing the economic impact of an important infrastructure investment and its impact on energy markets in the Eastern Pennsylvania and New Jersey region,” Madan says. As the School of Economics’ first corporate partner, Econsult contributes to Drexel’s tradition of experiential learning, academic excellence and participation in real-world problem solving. Drexel’s School of Economics and Econsult Solutions presented the 4th Annual Urban Economic Policy Conference. The focus of the conference was topics in education. Shawkah Hammoudeh, professor of economics, recently penned an op-ed about the rising usage and price of natural gas due to increased demand and decreases in supply.